Genuine OEM HP Toner Cartridge, Cyan, 1,000 page yield. 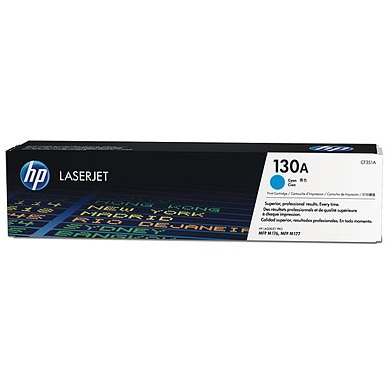 HP part number: CF351A, 130A Cyan. Color Laser Toner Cartridge compatible with HP LaserJet Pro M176, M177fw. Arrived quickly and in safe condition. Returning customer.